What you buy will have a major impact on your professional life. There are many factors to consider when buying a new business laptop for yourself or others in your organization. To help you make the best decision, we’ve put together this quick guide to the things you should be looking out for when making your purchase. The most important question to ask before drawing up your shopping list is what the device’s day-to-day duties will entail. If it’s just for producing reports, presentations, and spreadsheets, then all modern laptops will easily cope with these tasks. But if you need to replace a desktop machine, you're better off going for models with larger 15in or 17in displays, as they provide a more comfortable experience for users. 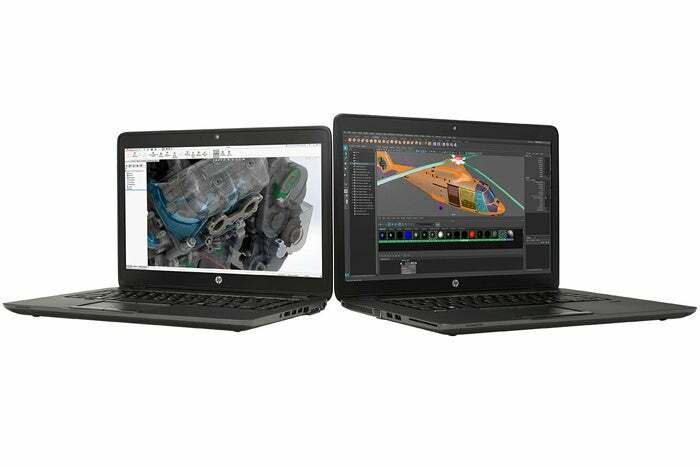 HP'z ZBooks pack a punch and work well for any professional in need of higher-end computing power. Video editing, graphic design, product development, or more technically demanding jobs will require a powerful processor, at least a 7th generation Intel i7, plus a minimum of 8GB of RAM, with 16GB being preferable. A range of ports for accessories is also a good idea. 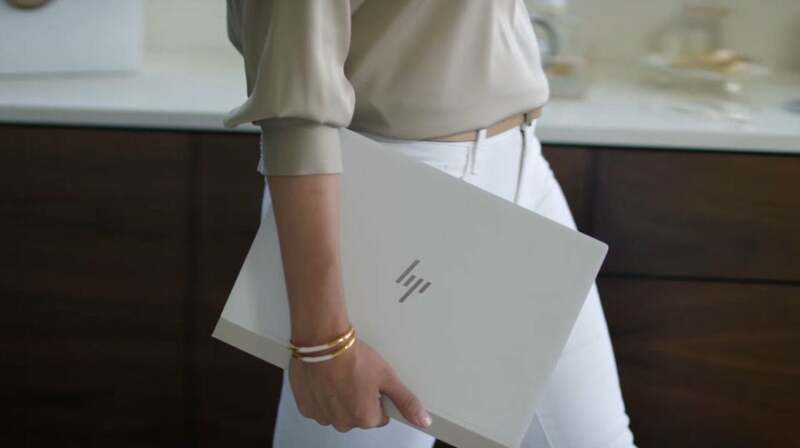 These combinations are found on the Workstation class of laptopRemove non-product link, such as HP’s Z-rangeRemove non-product link which are built with exactly this kind of performance in mind. For the executive level, you’ll want a device that looks premium, both in design and build. 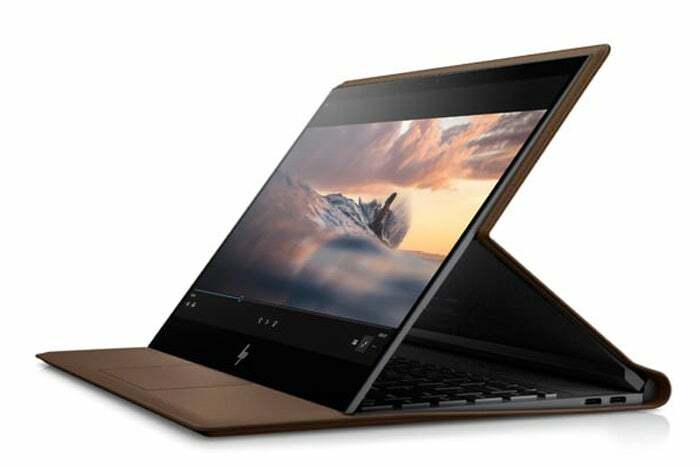 Slim form factors, HD+ displays, and high-grade materials are the current standards, with the new HP Spectre FolioRemove non-product link representing the pinnacle in terms of exquisite aesthetics and formidable power that will never look out of place on a boardroom table. Encased in full-grain leather, HP's new Spectre Folio is a sight to behold. Which software do you want to use? Another key consideration is the software your business uses. If it has a range of applications, with some dating back a few years, then you’ll need to make sure they all work with the operating system that comes on the laptop. Apple MacBooks might seem desirable in the stores, but if the applications you rely on aren’t compatible with macOS then they’ll just end up as very expensive paperweights. Windows is the most universally used operating system for laptops, and as such is the best option for maximum compatibility. ChromeOS, which runs on Google’s Chromebooks, is also becoming popular, due to its cloud-based computing. 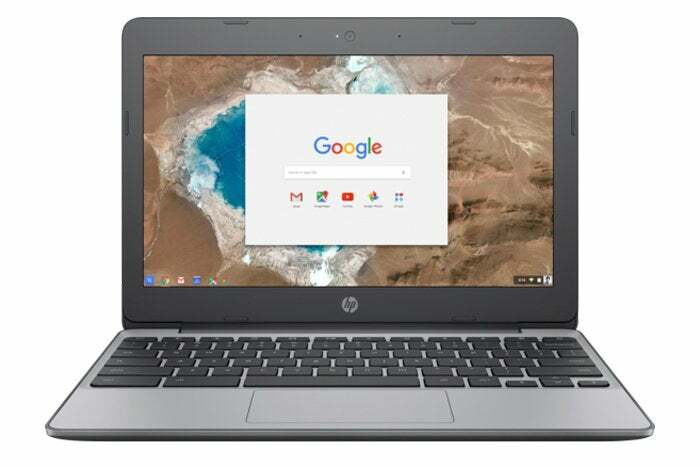 Should your organization use G-Suite software, and be looking for inexpensive machines to handle light duties, then you should consider the HP Chromebook 11Remove non-product link. If you're a Google lover, one of HP's Chromebooks will serve you well. Will you be traveling often? If those using the laptop are going to be spending lots of time on planes or carrying the device from one meeting to another, then size, weight, and durability become hugely significant. Size is often dictated by the display, so look for one with a 13in panel or smaller and weighing in at less than 3lbs. Battery life is of the utmost importance, as you don’t want the charge to run out halfway through an eight-hour flight. So, check the specifications to see how much the manufacturer states, then knock an hour or two off to leave yourself a safety reserve. Avoid the budget models, as they tend to be built with cheaper, plastic cases that can crack when thrown about in bags every day. Instead, look for a metal chassis as they tend to fare better in these situations. 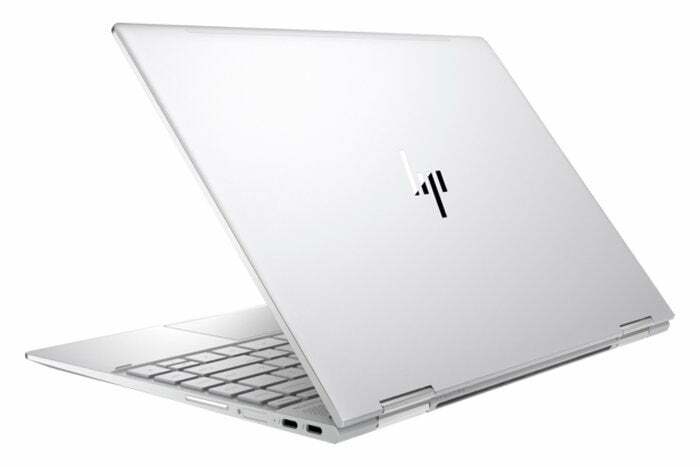 One good example of a laptop matching these requirements is the HP Spectre x360 convertible laptopRemove non-product link, which comes with the added bonus of a touchscreen and special hinges that can turn it into a tablet-style device. The HP Spectre x360 boasts a classic elegance. Do you need a laptop or a 2-in-1? While laptops have been the go-to device for getting work done over the years, these days there are more options available. 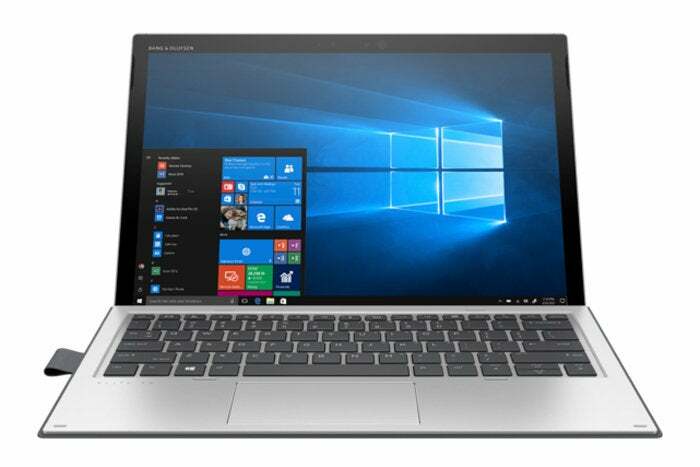 2-in-1s offer all the productivity benefits posed by a traditional laptop but add the freedom of a tablet. This can be particularly useful if you have a presentation with clients and want to show them a design or image on the screen. Typically, this would involve huddling around the laptop, but with a 2-in-1 you can simply detach the display and hand it to them. 2-in-1s are often lighter, more compact, and have longer battery lives than laptops too, so they make good travel companions. The HP Elite x2 1013 G3 TabletRemove non-product link should be high on your list, due to its latest eighth generation Intel processor, ultra-clear 12in 3000x2000 resolution display, and stylish design. It may be a tablet, but the Elite x2 1013 G3 is a workhorse. As you can see, there are plenty of levels of laptop to choose from. Therefore, there’s no need to overspend when making your purchase. Know your budget and stick to it when perusing the options, as you will find something that works for you at that price. One way to get the most from your money is to look at the various configurations for each machine and select what you realistically need. If there’s an option for a smaller SSD or previous generation processor, but ones that still fit your requirements, then opt for those instead. Just bear in mind that money spent wisely now could save you having to upgrade in only a year or two. Affiliate Disclosure: We receive a commission for purchases made through the links on this page.